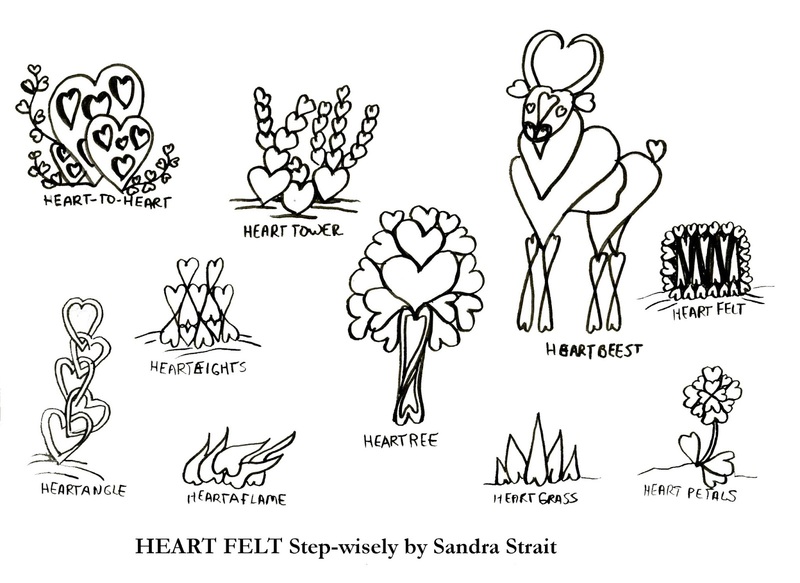 The Friday Fun & Easy Challenge for 1/26/18 – 2/1/18 is to draw a landscape using the Heartland step-wisely. Calorie-free brownie points for a heart-shaped plant or animal of your own! It has been a while since I’ve posted a step-wisely, so some of you are going huh? What’s that. In essence, it’s a tip or technique. 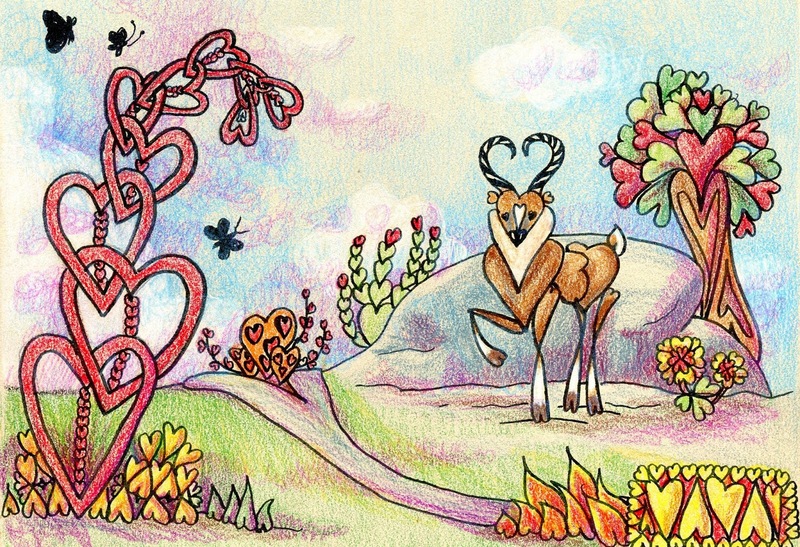 Back in June, I posted a step-wisely that discussed using basic shapes-circles, squares and triangles to create surprisingly complex plants, people and animals. Bouncing off of that, and taking into mind that Valentine’s Day is around the corner I’m adding another shape – yes, you guessed it – the heart shape. Here are some examples of what you can do using a heart or heart-like shape (no need to make a perfect heart!). Over the next couple of weeks, I’ll share some step-out for some of these. For this week, your free to use any of these shapes you can figure out, and I’m hoping some of you will create some shapes of your own!